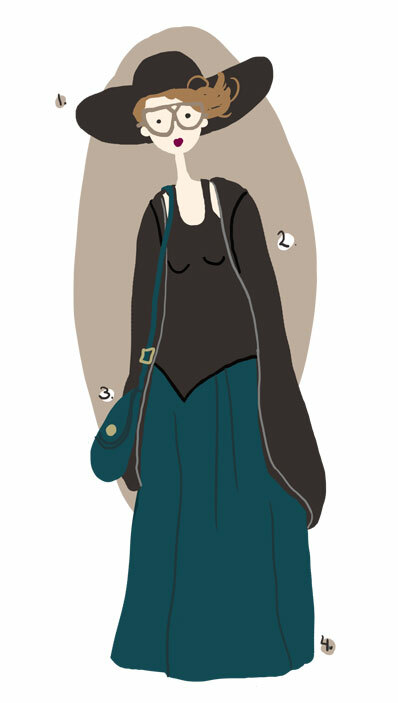 Audrey Elisabet: What I wear | For a walk. What I wear | For a walk. This is my outfit from our walk this weekend. It was pretty cold but the sun was out, and me and Ylfa really needed a good walk. We went to the hobby store that is close by to buy some embroidery floss and then we picked some flowers to put on our dining table. Ylfa was so excited to get a flower as you can see in my weekend post. 1. Since it was super cold but sunny I thought it would be the perfect opportunity to wear my new wide brimmed wool hat that Marinó supprised me with last week! 2. My sister is a super stylish shopaholic so every now and then I get a thing or two when she cleans out her closets. This summer she threw me this really nice jacket from H&M that I have used so much. It is great for San Francisco weather because it's not too warm and not too cold. I can also wear it over Ylfa when I have her in the Moby wrap. 3. My Marc by Marc Jacobs purse is my precious. It was my christmas present from Marinó 2010. 4. Ever since I got pregnant I have hated wearing pants. 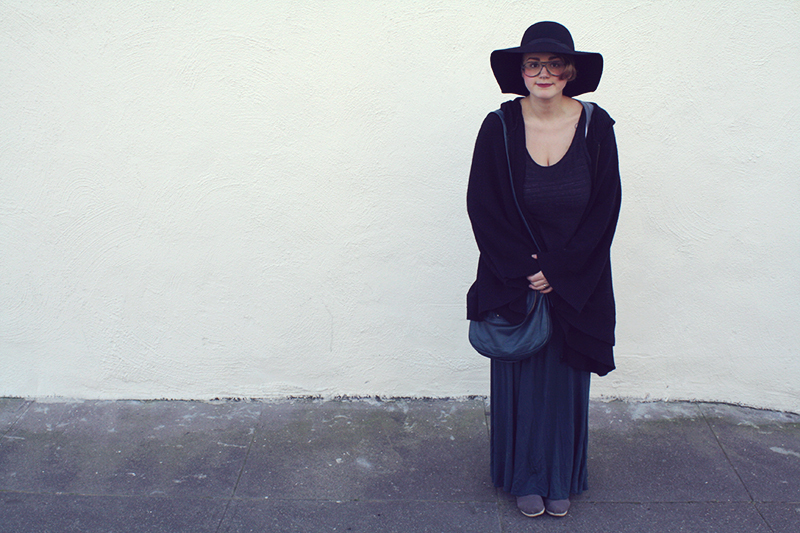 I bought this maxi skirt in Candystore Collective when I got too pregnant to wear anything I had. It was I freedom I had never known before! I decided to include an actual image of the outfit. I will probably do that every time I do an outfit post in the future.. But be warned! There is a reason why my husband calles me Chandler.